When the word pumpkin comes to mind, we usually think about pie, soup, Halloween, and Starbucks. Oil rarely features in that thought process. However, have you ever wondered what becomes of those seeds you scrape out of pumpkins? They are destined for great things beyond the bin :). Pumpkin seed oil is aka as green gold and pepita oil. The pumpkin is native to North America from where it was exported to parts of Europe over the centuries. In Austria and Slovenia, pumpkin seed oil is regarded as an important culinary oil and is used in soup, salad dressings, and other local dishes. The pumpkin seeds are dried then hulled, followed by roasting before the oil is cold pressed from them. Pumpkin seed oil is a rich dark green color and can change to red depending on the concentration and thickness of the layer – a phenomenon known as dichromatism. 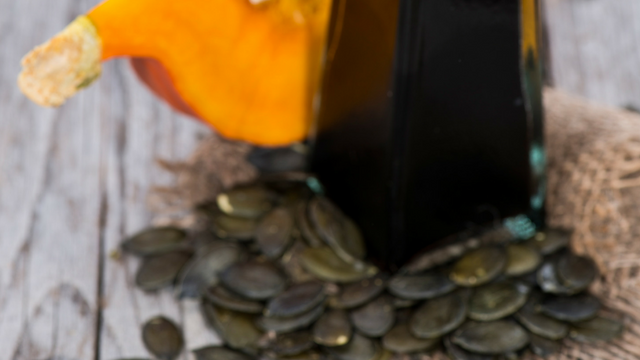 Pumpkin seed oil has a rich, nutty flavor. It is a rich source of omega-3 and omega-6 fatty acids, zinc, vitamins E and K and phytosterol. 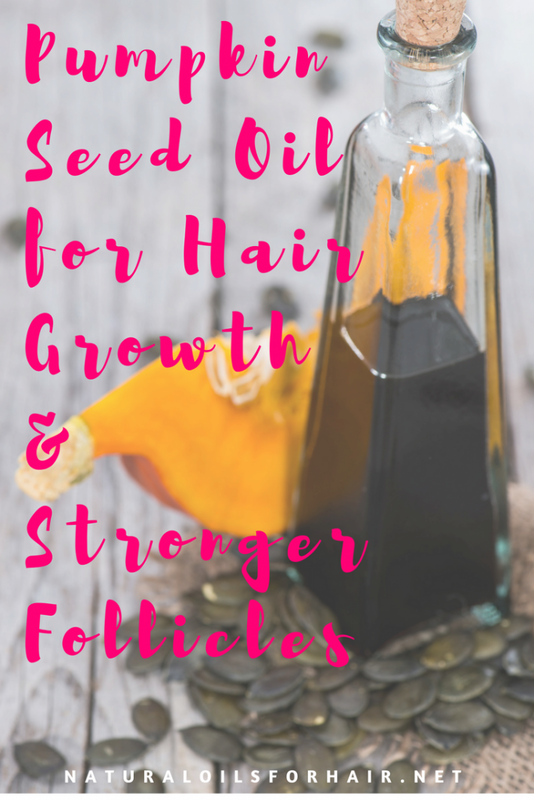 Regular massage with pumpkin seed oil can assist with hair growth through nourishing the follicles. Massage into your scalp while doing an inversion routine. 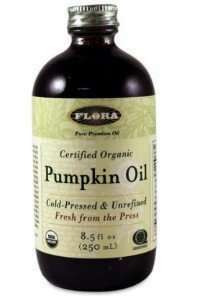 Pumpkin seed oil is an emollient oil, smoothening frizz and promoting shiny hair. If your hair lacks luster, pumpkin seed oil will help rectify this issue. 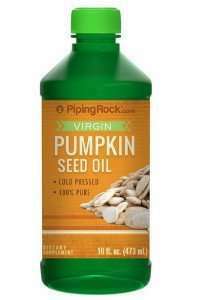 Pumpkin seed oil has a high vitamin E content. Vitamin E softens the hair and helps promote elasticity and manageability. Beta-carotene is found in many plants and fruits. It is one of the sources of vitamin A, which helps with stronger hair growth and alleviate thinning. For more on the benefits of beta-carotene for hair, read Why Beta-Carotene is Essential for Resolving Hair Breakage Issues. In a bowl, mix the deep conditioner and the oils together until smooth. Place the bowl over a bigger bowl of boiling water and allow the mixture to warm up then whisk thoroughly. Shampoo and condition your hair then squeeze out the excess water. Apply the pumpkin seed oil hair mask in sections. 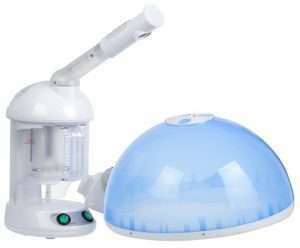 Massage into your scalp with your fingertips then sit under your hair steamer for 30 minutes. Rinse out with lukewarm water then style your hair as usual. Pour all the ingredients into the squeeze bottle and shake. Place the bottle in a bowl of hot water and allow to heat up. Section dry hair and apply the warm oil mix to your scalp. Apply in small sections so your entire scalp area is covered especially the problem areas. When completed, you can apply any excess oil mix to the length of your hair. Massage the oil mix into your scalp thoroughly using this method. When your scalp is heated, pin-up hair, cover with a disposable cap and tie a scarf around it. Leave-in overnight and wash out the next morning with a mild shampoo then deep condition your hair. You can also use this pre-poo mix as a massage oil 3 – 5 nights a week and wash out on your full regimen day. Can also be used with the inversion method. 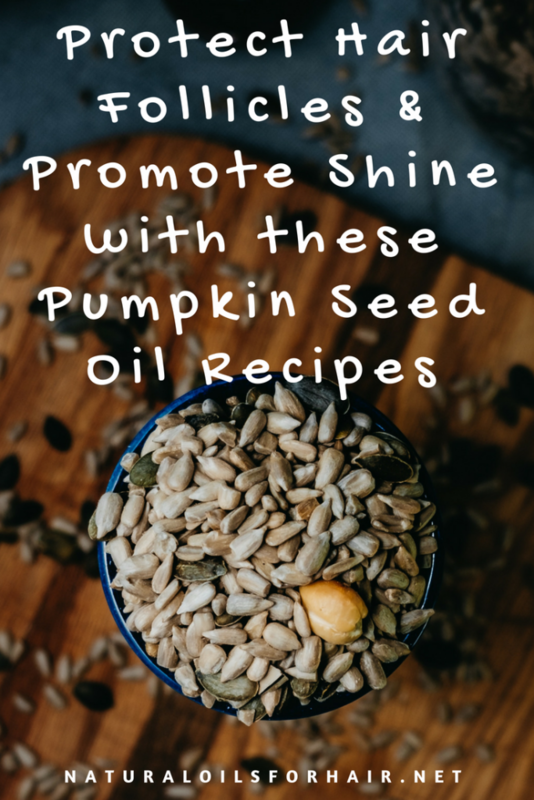 Notice that in the recipes above, pumpkin seed oil is combined with specific hair growth oils. Using pumpkin seed oil on its own won’t work as effectively. Tip: If your clothes are stained while using pumpkin seed oil, just hang it outside instead of washing and the sun will take care of the spots. You can also get the benefits of pumpkin seed oil via your diet. It is one of the best oils for the ketogenic diet. Pumpkin seed oil can be used in salad dressings, dipping sauces, pesto and other cold dishes. Heated pumpkin seed oil tastes bitter so avoid doing this. Pumpkin and pumpkin seed oil can also be applied on the skin and can help with conditions such as eczema and premature wrinkles. Read 7 Awesome Additional Benefits of Pumpkin Oil for the Skin as well as Are Pumpkin Seeds Good for You? Where to Buy Pumpkin Seed Oil? Now, I want to eat pumpkin pie…. haha. Tell me about it..
What other brands of pumpkin seed oil would you recommen? Couldn’t find the one in the article. Thanks.